Just for Fun - Looking for a Unique Christmas Present? Some of you know that my husband, Bill, was a helicopter pilot. He flew in Vietnam and on the Delaware State Police. Although he's retired now, he still has great memories from his flying days. When I saw the HELO TC remote-controlled helicopter being promoted online, I immediately asked for one to review. I wanted my husband to try it and see if he would recommend it. Well, he does, and so do I! I found it to be just as much fun as he does! 1. It's small (about 8" long), lightweight (1.4 oz - I weighed it on my Weight Watcher's scale! ), and takes up very little room to store or to use. We can "fly" in the house, as long as the dog is shut up in her crate! 2. It's flexible. We've had several crashes, but no damage. It's built on a lightweight metal frame with a black polycarbonate body, and it bounces very well! 3. It's fairly easy to learn to use. I say fairly because you have to run the throttle as well as the joystick at the same time. It gets tricky, but my pilot husband had it flying around the room in no time at all. For me, it took a bit longer to learn the controls. (There is another mode - Tilt to Steer - that just uses the iPhone, but it's not nearly as fun and challenging.) My only complaint is that the directions for flying the HELO TC are in the app itself and not written in the paperwork that comes with it. It's not fun to have to stop the HELO TC to read directions. I suggest they add these directions in PDF format to their website to be downloaded. 4. It was easy to put together and start playing. Our HELO came already charged (It charges with USB power source. ); however, the literature says it charges in 35 minutes. The Flight Deck module is powered by four AAA batteries. 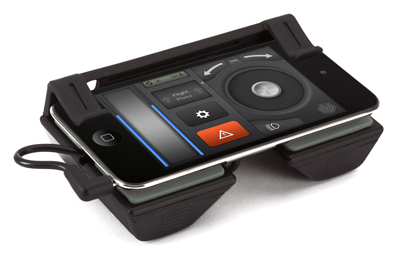 We took everything out of the box, followed the directions for downloading the HELO TC app, and attached the Flight Deck to the iPhone. At most, this took 15 minutes. The helicopter was already together. We just had to take it out from its box and then read the directions for getting started. It took about 20-30 minutes to have it up and running with some confidence. 5. 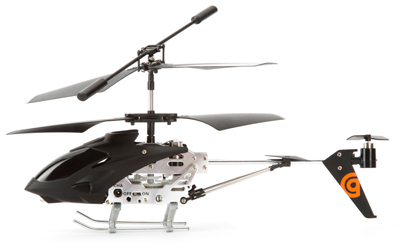 It's a good value at $49.99 for the HELO TC. You can purchase from Griffin Technology. The app is free. 6. It's a unique gift that your pilot friends and wanna-be-pilot friends will enjoy for a long time. I think they will remember this one! Review of "To Have and To Hold"
The Peterson and Miller team have always given me just what I want in a book: a great story, interesting characters, a bit of mystery and adventure, and , of course, romance. Unfortunately, To Have and To Hold just didn't come up to par with their previous books. The characters were somewhat unbelievable. Their actions too weak. I had a hard time even liking the characters. The plot was thin and the story stretched out much longer than it needed. 'HOWEVER, these two authors are SO GOOD at writing that the book still kept my interest! I am amazed at their writing skills. Usually, with books like this, I call it quits and move on to something else. Sometimes, I'll skim the rest of the book to try to get some idea of the plot. But not this one. In spite of its flaws, it's still great writing. I read the whole thing and enjoyed it. I especially liked the historical setting. I felt as if I were right there on Bridal Veil Island with the characters. If this is your first Peterson/Miller book, don't judge them by this one. Get some of the earlier works. I promise you, you'll be delighted. Afterwards, you'll even enjoy this one. Note: I received this book from Bethany House to review. I was not required to write a good review. Retired teacher who enjoys crafting, nature walks, technology, writing, and learning new things! ...my life as a teacher, author, crafting addict, dog lover, wife and mom.